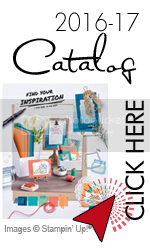 Hello and welcome to the Stampin’ Addicts Occasions Catalog Blog Hop! We are excited to be featuring some fun stamp sets from the new Occasions Catalog. You may have arrived here from Sara Mattson-Blume’s Blog where she featured Going Global or perhaps Betty Traciak’s Blog (if you are going backwards), or you may be starting here. 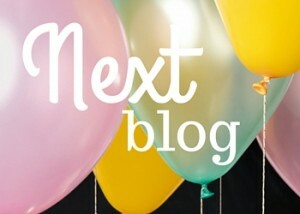 In any case, all of the blogs link together in a circle so you won’t miss a stop! I am excited to be featuring the super cute new Bear Hugs stamp set with its matching framelits. You may have seen my post from earlier today — I used this set for my Craft Project Central project this month, too. It’s just so easy to make cute cards with it! My first card is a clean and simple Valentine, using the big bear. He is stamped in Chocolate Chip on Crumb Cake Cardstock which is my favorite color combo for the bear. I made this card for four challenges: The Paper Players (Clean & Simple Valentine), Global Design Project (Theme: Love), SUO Challenges (Valentines), and Color Throwdown (aqua, pink, kraft and white). I don’t know if I’ve ever managed a quadruple challenge card before. It helped that the first three were so similar. This stamp set doesn’t just make great Valentines, it makes super cute baby cards, too. 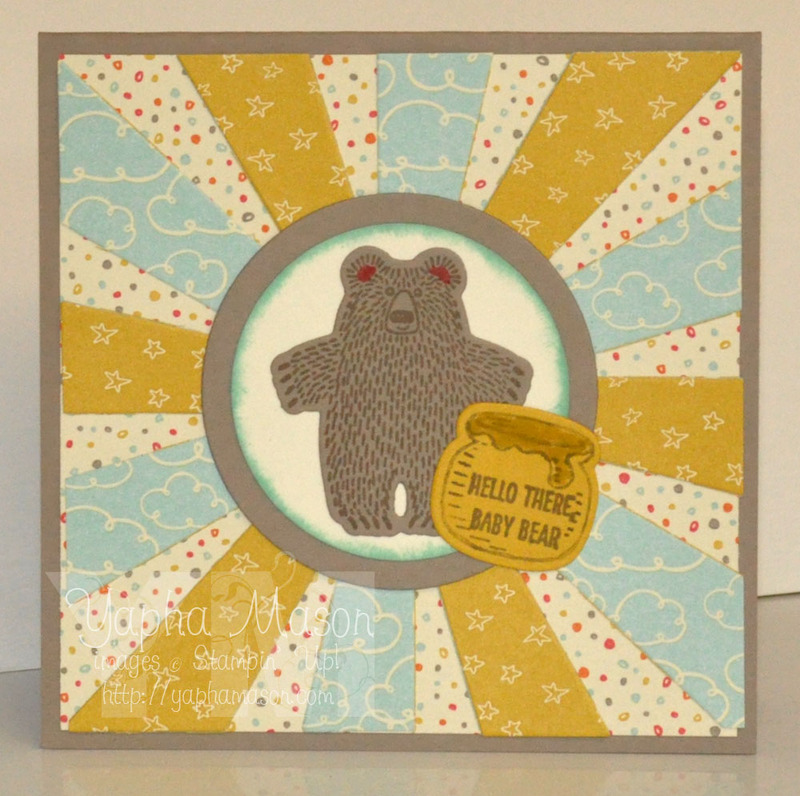 I paired the adorable baby bear with the Sweet Li’l Things Designer Series Paper for a great gender neutral baby card. My final card doesn’t use the bear at all. 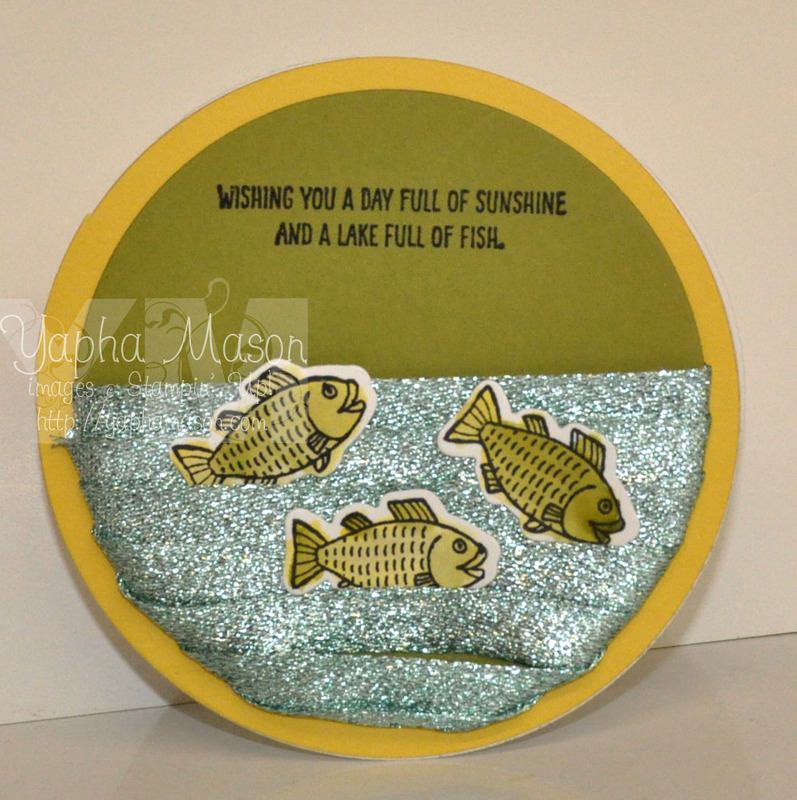 This would be a great card for your favorite fisherman (or fisherwoman). I really like this Pool Party Glitter Ribbon! 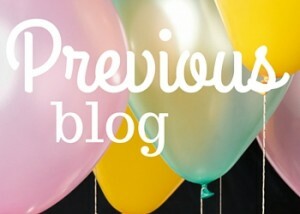 Thanks for joining us on our Occasions Catalog blog hop. Your next stop is over at Betty Traciak’s Blog, where she will be showing us the Playful Pals Bundle. Her creations are always amazing! So I’ve bee waiting to see what you came up with for this set, and I love it! Very inspiring how you did the water for the fish card. The second is my fav! Oh I love it! Good job! Ready for a bear hug! Adorable card! Those bears are just adorable, Yapha! What a great idea to use the ribbon for water with the fish. Great projects! Love all the accessories you used for your layouts (sunburst framelit, glitter ribbon). The use of the ribbon for the water in the third card is just a fabulous idea! How totally CUTE! Super for all occasions! Yapha your cards are so adorable. I love the way you used the ribbon for water in the fish bowl. Thanks for sharing. Adorable cards, Yapha. You’re making me think twice about this stamp set! Love the glitter ribbon on the first one…so glad you joined us at The Paper Players! Yapha – What a great showcase of this fun stamp set. Love them all – how creative are you to use the Pool Party ribbon for the fish card. Wonderful! Thank you so much for playing along with this week’s Love Theme challenge at the Global Design Project. I love the water on your fish. The bear is best on chocolate chip and crumb cake as you said. Great projects! So lovely Yapha! Thank you so much for playing along with this week’s Global Design Project challenge! We appreciate your support of the GDP challenge blog. Awwww…such cutie pie cards! What fun to use the ribbon as a lake! These are all fabulous! You did a great job of showcasing the versatility of the stamp set. Love that bear image! Thanks for joining us at The Color Throwdown! 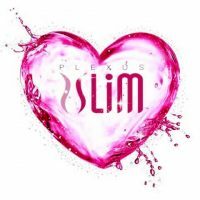 What a great idea for a simple valentines card!! So glad you joined the fun at SUO! 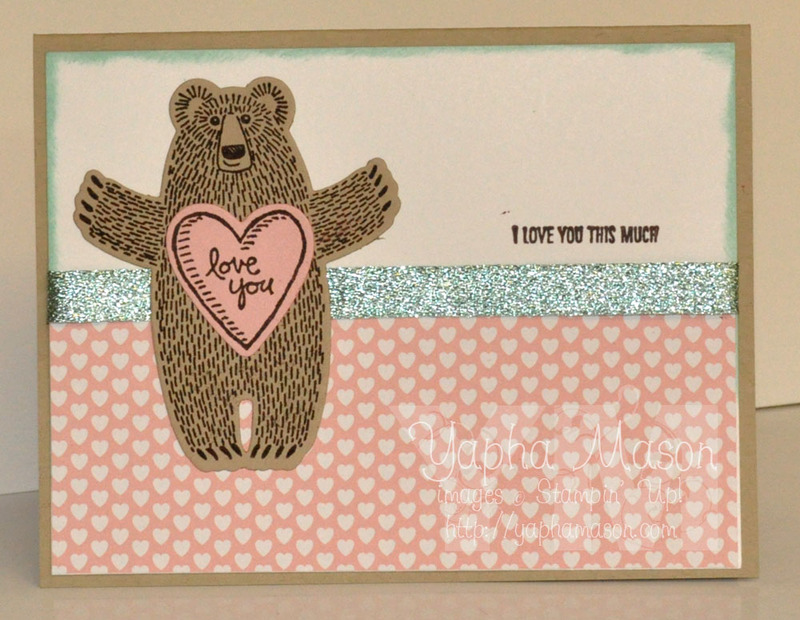 Oh…love all your cards, that Bear Hugs set is so much fun! But, the fish card is just DARLING! So clever! Thanks for playing along with the SUO Valentine Challenge this time!